Mirrored goggles with a comfortable mask design. When you wear your goggles for hours, they need to be comfortable. 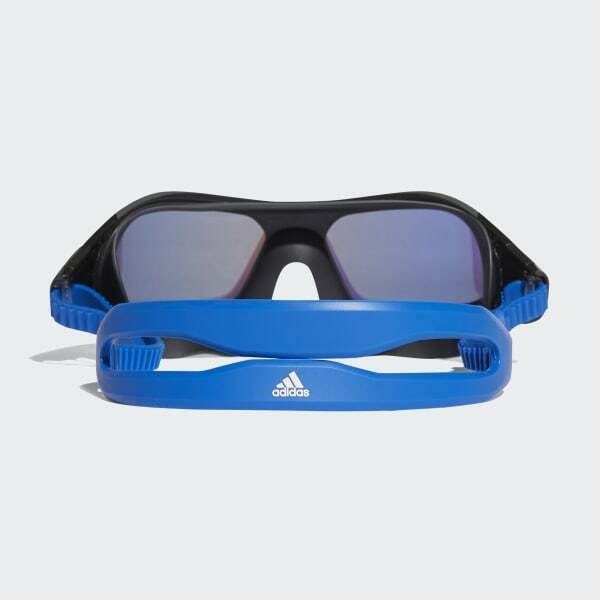 These mask-style swim goggles have mirrored lenses and a full 180-degree field of vision. The double strap allows for easy one-handed adjustment.